The games afootand onlineas MMORPGs expand reach. Investors exploring possibilities in Southeast Asia should know what an MMORPG is, or risk losing out on an opportunity that analysts predict will continue to experience substantial growth over the next few years. MMORPGs–massively multiplayer online role-playing games–have survived the economic downturn with a flourish. They and other online games are expanding at a rate that, according to research firm Niko Partners, is set to double the market from $11.9 billion in 2013 to $23.4 billion by 2018 in China alone. Considering that an online game can have millions of subscribers, with as many as 4,000 players doing battle with one another at the same time, perhaps that’s not surprising. Online competitions that include such categories as shooting, fighting and battle arena games as well as role-playing contests have already seen impressive growth. Chinese government authorities said in February that, thanks to better technology and increased participation by young people, online and mobile gaming exploded by 246% in 2013. While that number has been challenged by analysts outside China, the research group China Internet Watch put the number of online gamers in the country in 2009 at 68 million and this year the number is expected to hit 141 million. And because the government relaxed a 13-year ban on console games and the consoles on which to play them, there’s room for even more growth. The games themselves are not the only elements of the market that stand to gain by growth, nor is China the only country where business is booming. In fact, localization of games–through redesign of costumes worn by avatars to reflect regional tastes, and the dubbing of dialogue and translation of text into a given country’s or region’s language–has boosted the popularity of online video games throughout Southeast Asia. Even animation has seen tweaks ranging from characters’ appearances to their body language to account for regional tastes, drawing more players to join their friends by gaming in “familiar” surroundings. Such customization keeps firms like Singapore-based Gumi Asia Pte Ltd, a subsidiary of Japanese mobile social gaming firm Gumi Inc., busy, even as it brings out its own games and those of its parent. David Ng, chief executive of Gumi Asia, has said, for instance, that in Thailand and Vietnam, graphics preferences tend more toward Chinese tastes, whereas in the Philippines Western influence is more popular. In Indonesia, the population demographics–a blend of Muslim, Christian and Chinese–make the task harder. But that doesn’t mean it isn’t worth the effort. Niko Partners said that online gaming in Indonesia, where there are almost 20 million players, grew nearly 26% in 2012 over 2011, for a total of $88.1 million. The country is actively soliciting business from software and gaming companies, using the fact that about half of its population is under 30 to draw the interest of companies that know male gamers 18 to 24 years old make up a large part of their clientele. And Gumi is not the only firm working in that niche-within-a-niche; other firms that do not originate their own games make their money by tailoring existing games for regional tastes. Then there’s the technology aspect of the market, with both mobile- and PC-based games on the rise. Mobile games present unique opportunities even as PC games are going strong. Niko Partners has said that, according to survey responses, 25% of Southeast Asia players, excluding China, do not play mobile games. In China, on the other hand, 100% of those surveyed reported they played mobile games. That means there’s a lot of room for growth in the mobile market, which includes Indonesia, Malaysia, the Philippines, Singapore, Thailand and Vietnam. 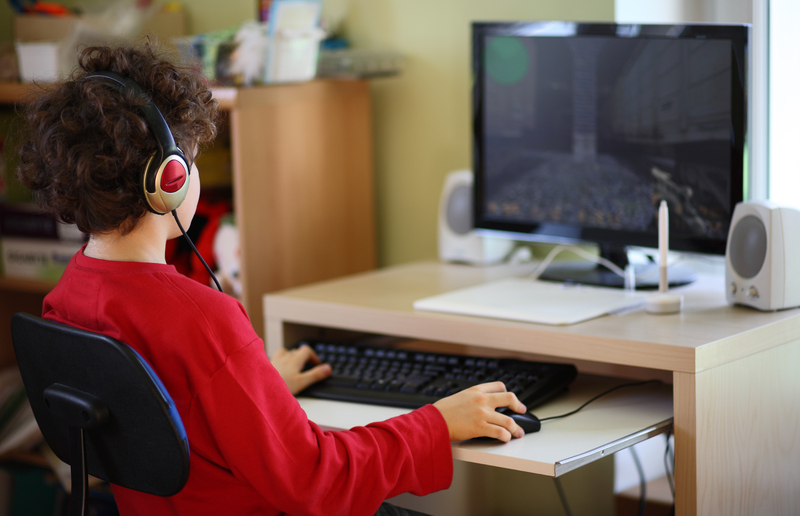 Even as game companies are working hard to accommodate older technology, such advances as 4G–and growing middle-class populations with more access to better technology–are spreading the reach of online gaming to a wider audience. But even that’s not the extent of expansion going on in the gaming universe. Companies such as Asiasoft are teaming up with gaming companies outside the region to bring more games to the region. Most recently, Asiasoft announced a partnership with U.S.-based Blizzard Entertainment to bring Blizzard’s “Heroes of the Storm” multiplayer online battle-arena game to the region. This is only the latest association between the two companies. Asiasoft has assisted in the releases of “Diablo III,” “World of Warcraft” and “StarCraft II,” among other Blizzard titles, to the region. NetEase will be doing the honors for “Heroes of the Storm” in China. Other firms are branching out in different ways. Thai e-book store Ookbee, one of Southeast Asia’s largest such stores, announced in April the launch of a mobile game platform in Thailand. It’s currently in the beta testing stage, but long-range plans are to expand it beyond its home country. And in a twist that takes online gaming across the threshold into reality, the island of Miyakojima in Okinawa has joined with the Okinawa International Movie Festival to turn the online game “Escape from a Remote Island” into a real game. Instead of remaining glued to computer screens, players will give a boost to tourism as they journey to Miyakojima to seek clues hidden across the island before they can advance to the next level. What might be next on the agenda in gaming? Lisa Cosmas Hanson, managing partner and founder of Niko Partners, said that “in 2014 the exciting game segment to watch is digital trading card games.” Those contests, playable on both mobile and PC platforms, could provide across-the-spectrum opportunities for gamers and investors alike. Don’t know what the card games are? Think “Magic: The Gathering” or even “Pokémon,” although the category goes way beyond those two. And while “Escape from a Remote Island” may have gone from virtual to reality, the digital trading card games take the trend the other way, from physical collections of cards to their animated electronic counterparts, complete with skill levels that automatically update as players advance.